This talk presents a novel cantilever design approach to place higher mode frequencies within a specific frequency band to alleviate instrumentation and Q control feasibility. This work is motivated by the emerging field of multifrequency atomic force microscopy which involves the excitation and/or detection of several cantilever modes at once. Unlike other operating modes, multifrequency AFM allows the tracking of the sample topography on the fundamental mode while simultaneously acquiring complimentary nanomechanical information on a higher mode. However, higher modes of conventional rectangular tapping-mode cantilevers are usually in the MHz regime and therefore impose severe restrictions on the direct controllability of these modes. To overcome this limitation, an optimization technique is employed which is capable of placing the first five modes within a 200kHz bandwidth. Dr Steven Moore is currently a post-doctoral researcher with the Precision Mechatronics Lab at the University of Newcastle, Australia. He received his doctorate in electrical engineering from the University of Newcastle in 2016. His research focuses on the modelling, instrumentation and control of microsystems. 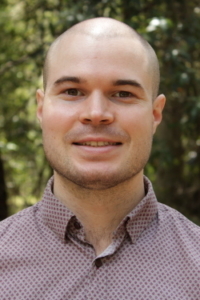 Michael Ruppert is a Postdoctoral Research Associate with the School of Electrical Engineering and Computing. His research interests include the control, estimation and self-sensing of microelectromechanical (MEMS) systems such as piezoelectric microcantilever and nanopositioning systems for multifrequency and single-chip atomic force microscopy.